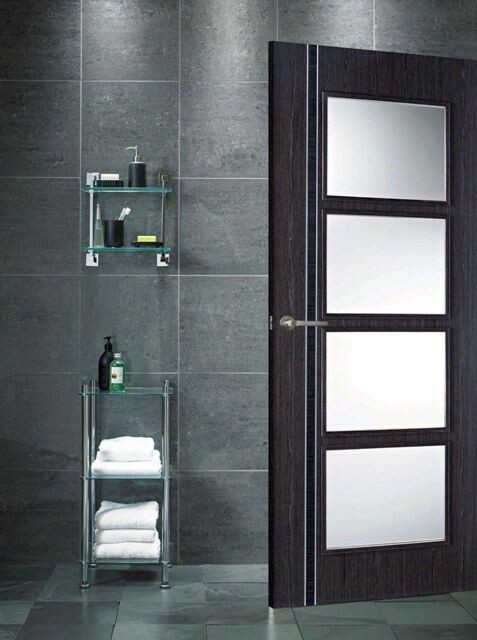 35mm engineered flush non-fire glazed door - Ash grey veneer with vertical grooves and stylish aluminium strips that are slightly recessed within the door. Easy clean clear safety glass. Supplied factory finished in clear satin lacquer. Available in standard imperial sizes with 10 years manufacturing guarantee. Manufactured in Spain. 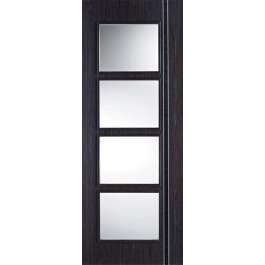 Matching solid FD30 fire and non-fire doors available.